Air-whipped liquid provides perfecting coverage for 100% poreless skin. Ideal for normal skin. Oil-free, fragrance-free, Dermatologist-tested, allergy-tested, non-comedogenic – won’t clog pores, safe for sensitive skin. I bought Maybelline Dream Liquid Mousse on impulse and still no regrets. 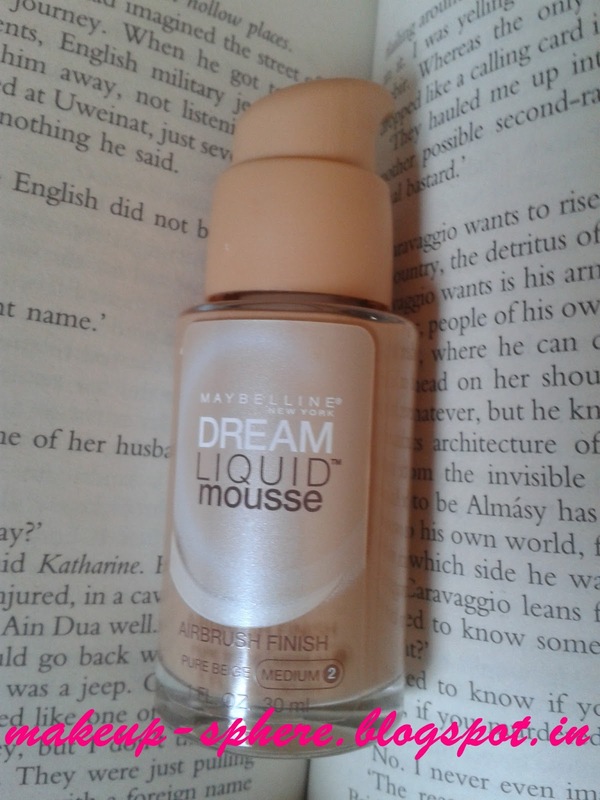 Maybelline Dream Liquid Mousse, a sturdy see through glass bottle with pump. The texture of Mousse is creamy and gives light to medium coverage. 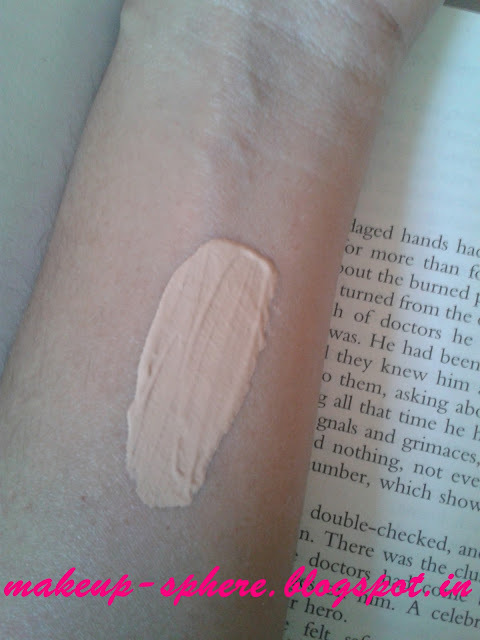 The coverage is slightly buildable but won't conceal blemishes and marks. The Finish on skin is Satiny-dewy and for time being skin indeed looks flawless. The staying power is average, stays on for 4-5 hours and a li'l blotting or powder will be needed to control shiny T-zone or Cheeks. I have Combination skin with T-zone and Cheeks Oily. And I need to blot and powder my face after 3 hours if I reach for this. Light to Medium Buildable Coverage. Ideal for Dry skin or Normal. Fragrance Free, All that good for Sensitive noses. Non-Comedogenic. So no clogged pores. Flawless Air Brush Finish, if applied suitable way. A tiny amount, just a blob is needed for the face. Glass Bottle: Not Travel Friendly. Settles in Fine lines, if not blended properly. Shade Selection. One might have to customize to find ideal shade. Not for Humid Climatic Conditions unless you stay indoors in Conditioned Atmosphere. I love Maybelline Dream Liquid Mousse for its Finish: Flawless and Dewy. 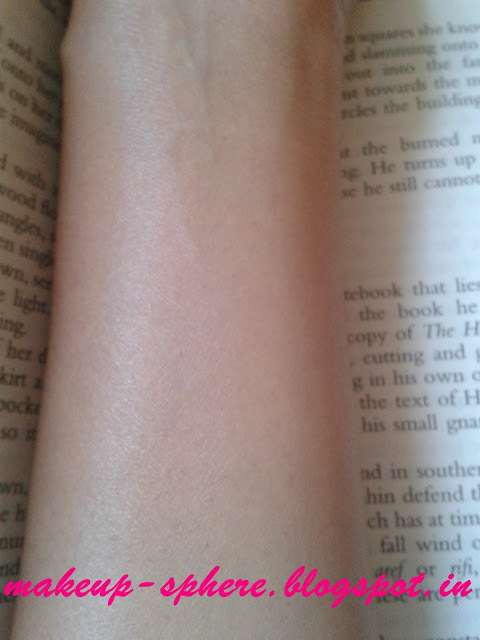 So I tend to reach for it when my skin is dry and lifeless. This Perks up the glow and looks natural than made up. I blend it with Fingers in hurry or Use a Foundation brush from wonder finish. I find stippling it quite tricky, since I have sensitive skin and I turn red in no time. Using a sponge is a way to go, if you need a little more coverage. 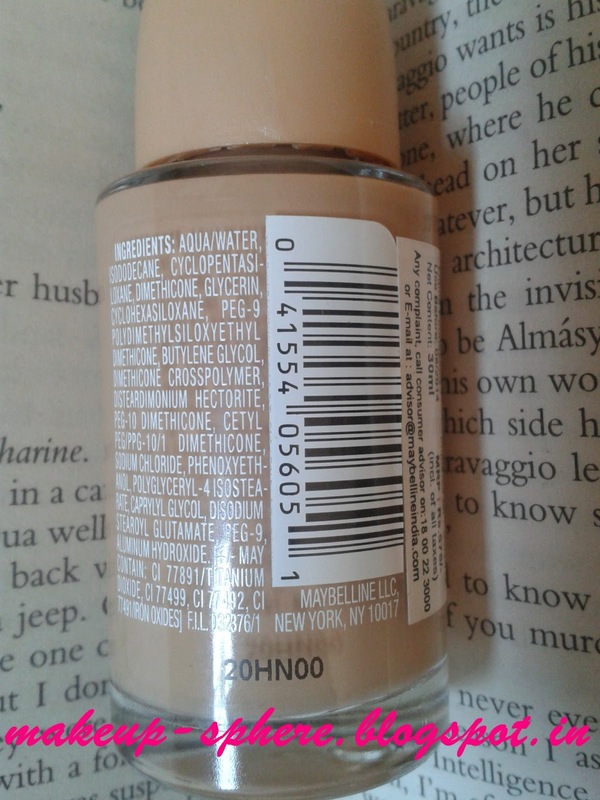 So If you like Dewy Finish and Soft coverage, This would be a good budget buy. And of course, You can try at the counters yourself.